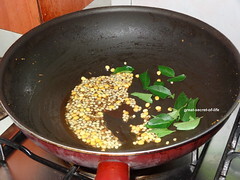 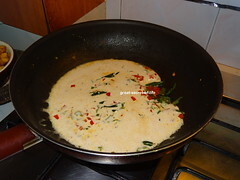 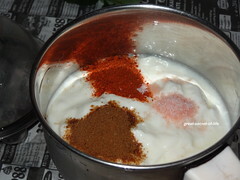 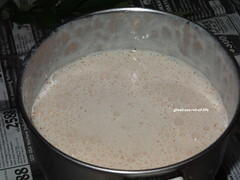 Whip the yogurt with cumin seeds powder, chilli powder and salt. 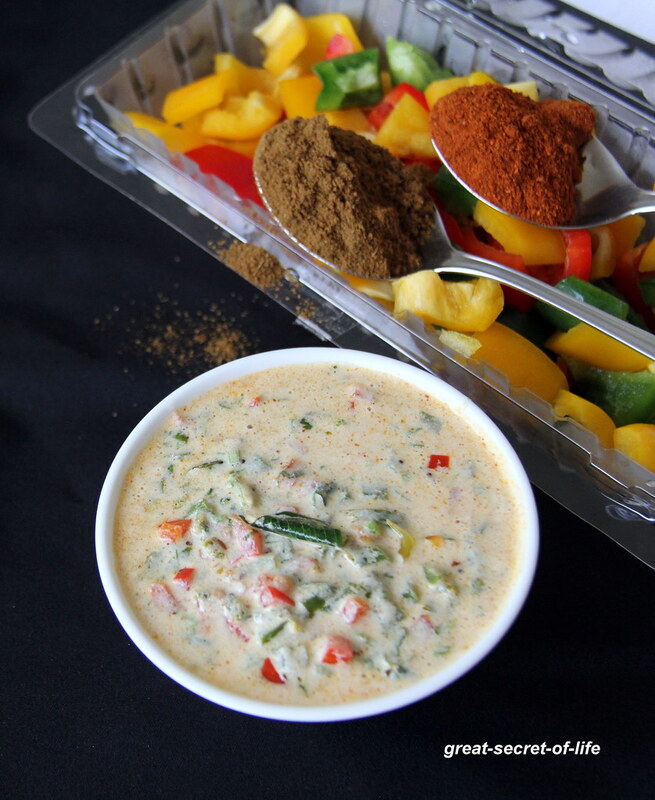 Beautiful raita capsicum and yogurt together must taste awesome too. 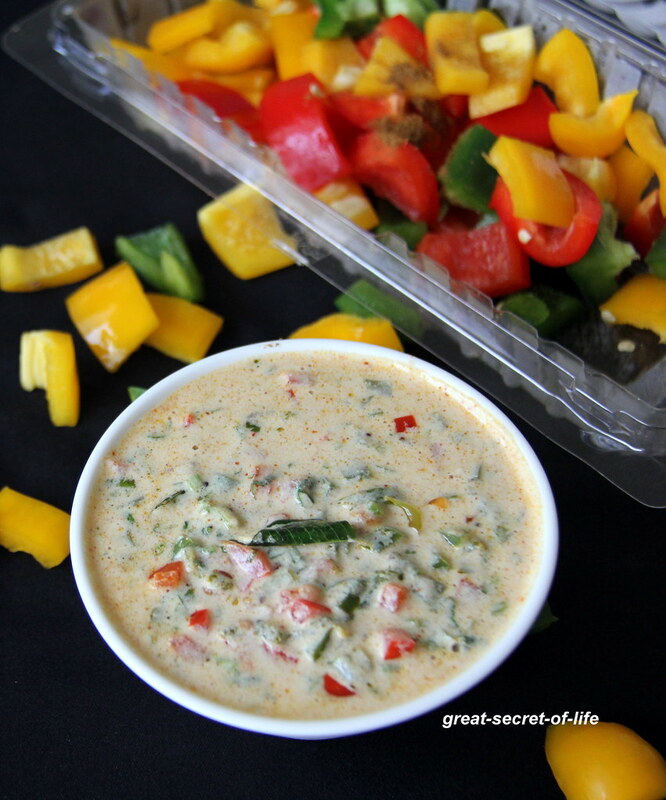 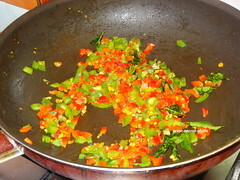 Lovely and very colourful raita, love the crunchiness of capsicum in raita. 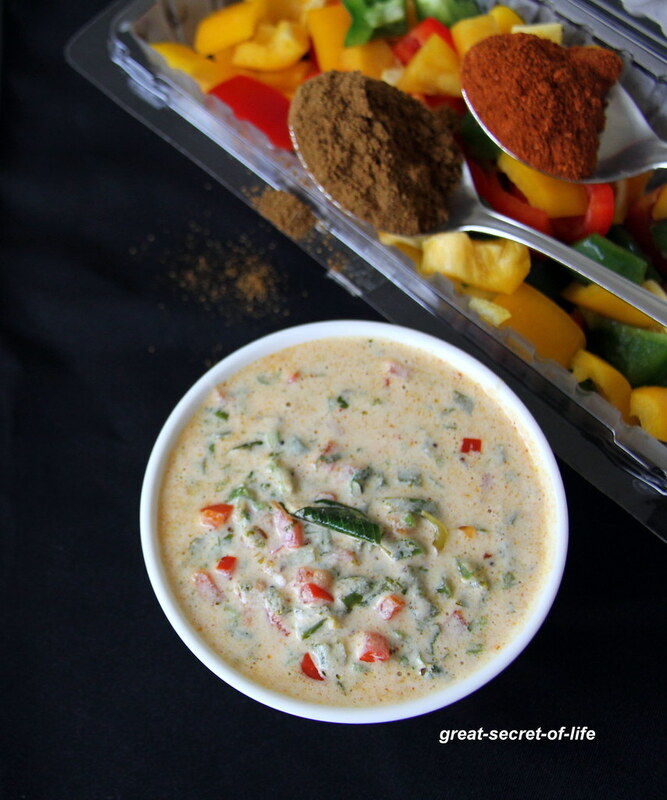 such a colourful raita...a treat to the eyes and also to the tastebuds..